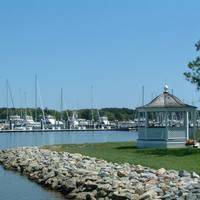 Ocean City is an expansive vacation area located on Marylands Atlantic Ocean Coast. Millions of visitors flock to this area each year to hang out on the beach, walk the boardwalk, fish in the inlet and back bays, or more adventurously, head offshore for tuna, wahoo and marlin in one of the many charter fishing operations that runs out of Ocean City. 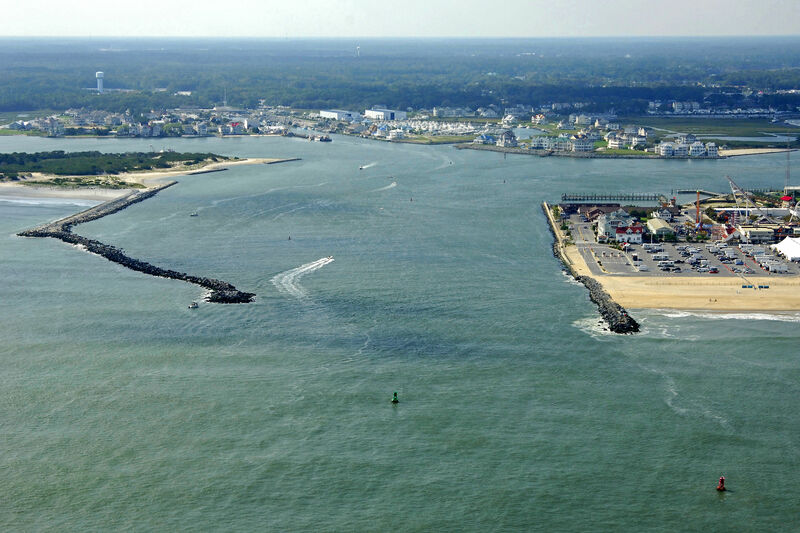 The image above is a view from the east looking west over the Ocean City Inlet where it empties into the Atlantic Ocean. 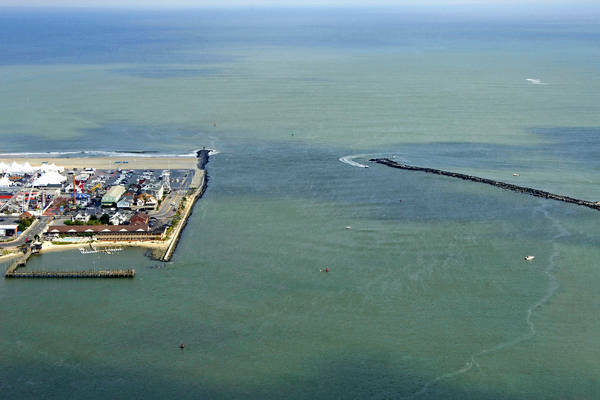 To the right (north) is Ocean City and its fairground and boardwalk attractions, while to the left (south) is Assateague Island, a more remote and wild destination. 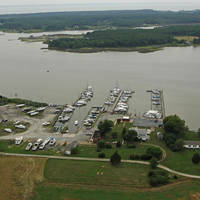 Past the inlet to the right takes boaters into Isle of Wight Bay (shallow - six to seven feet) past the state Route 50 Bridge), and a turn to the left after the inlet leads into Sinepuxent Bay, which runs behind Assateague Island. 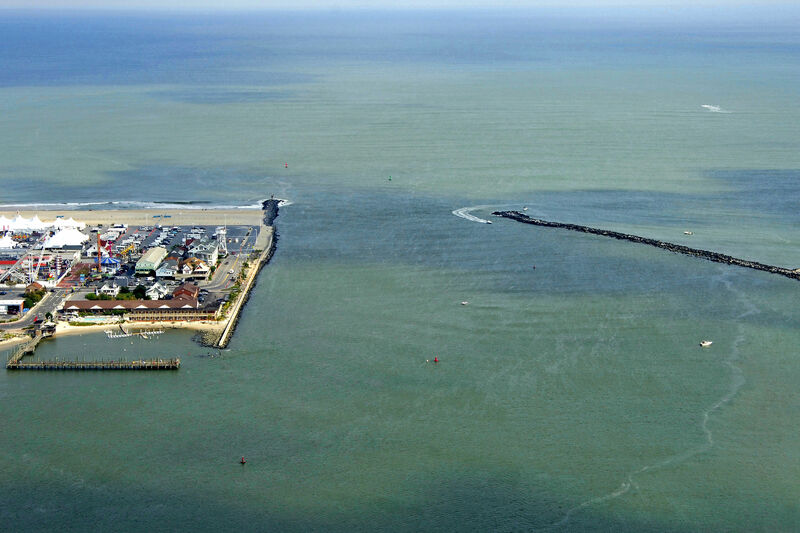 The Ocean City Inlet can be calm and easy to transit (as evidenced in the image above), or it can sometimes be quite adventurous, or even dangerous during storm conditions. Although most of the inlet has adequate depths of seven feet or more, the inlet channel does shift and move around. Expect currents of up to four knots on a changing tide, and if that tide opposes a stiff breeze, things can get dicey. 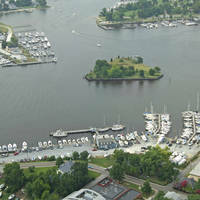 Call ahead to one of the local marinas before your arrival for current inlet conditions. At flashing red bell buoy 2, head to the east to intercept flashing red buoy 4, and then flashing green buoy 5, which is visible in the image above. From this point, flashing red buoy 8 flashing red buoy 10, and flashing red (red and green color) buoy OC lead you back to the junction of Isle of Wight and Sinepuxent bays. No reviews yet! 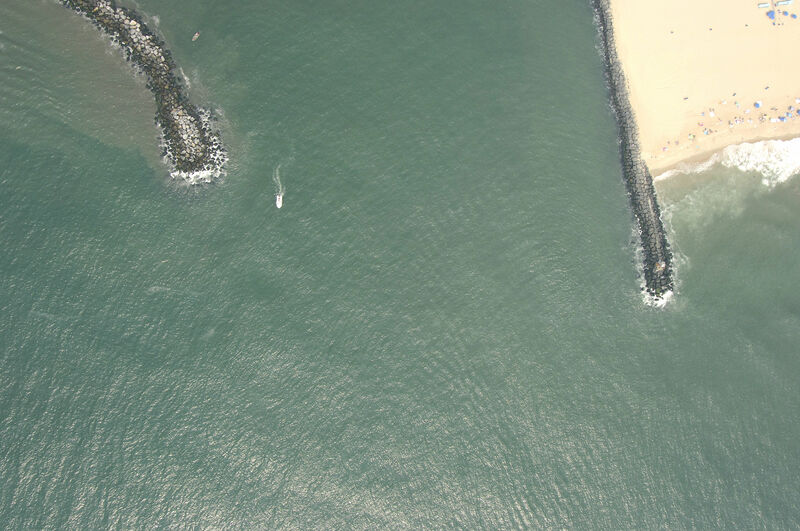 Be the first to write a review of Ocean City Inlet.